In our education system maximum importance is given on Domain expertise(De) which plays f 13%role in success in real life and we ignore 87% role of soft skill. That’s why 87% of the youth are still unemployed. We have almost 100 muscles in our face. Whenever we go for an interview then the entrepreneur looks for a person who will be able to do his work properly. 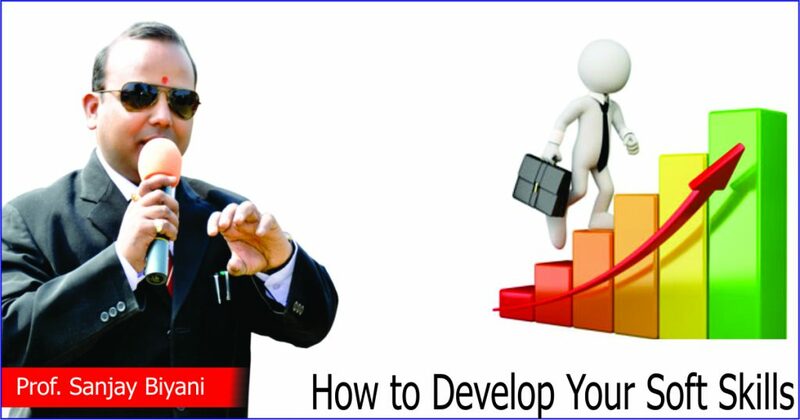 He wants to read your face and watches our attitude, how you enter the room, how do you face the interview board; will you be the right person for the job or business or the purpose the entrepreneur is looking for? All the answers are on your face, in the attitude you show and your body language. Were you depressed or worried or irritated or whether you presented yourself as a pleasant or confident person, decides your result of interview. 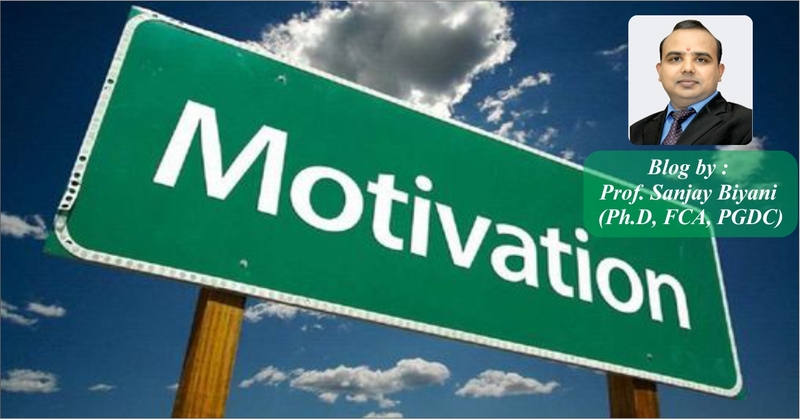 The person who wanted to give an assignment to you it is possible that it may be an important assignment which may solve many problems of life. How can you prove your ability if you are not selected? 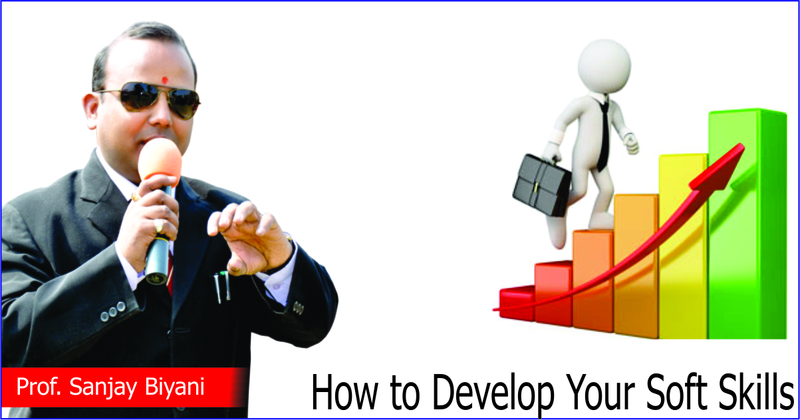 For this you have to develop your soft skill along with domain expertise (De). In our education system maximum importance is given on De which plays a role of 13% in real life and we ignore 87% role of soft skill. That’s why 87% of the youth are still unemployed..
Let us do a survey which can clear many things about life. We will have to make a survey form and we will try to collect some important information from top class manager, company’s CEO, executives, directors about their qualifications or degrees ( DE) like whether they are BCA or IT or B.com .Did they appear for I.A.S or R.A.S? You will find maximum people out of these top class people are from a common normal background. But their soft skills are different. Their attitudes are different. This has been found as a result of a survey of Stanford University where 50,000 students became entrepreneurs and running their own business. When they were asked the reason of their successful career it was concluded that in their success the role of De was 13% and rest 87% was the role of soft skill. And this soft skill includes one’s attitude, understanding, thoughts and personality. Let us welcome 2016, another new year and do something new. As of now we are taking decisions with our mind (मन) but now let us take decisions with our intellect. Actually mind (मन) thinks but it’s the intellect that takes decisions. Intellect is situated in our body at the point between our two eyebrows where we put tilak where Agya Chakra is situated. 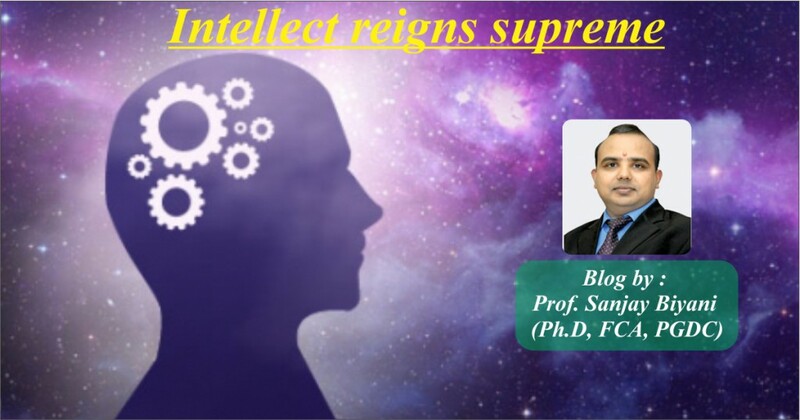 We should make our intellect very powerful so that it can take right decision and can set our mind on the right track. Only 5% people take decision through intellect where as 95% people take decision through their mind (मन). But till the time we cannot take decisions with our mind (मन) and till we gain our wisdom we lead the life of an animal . 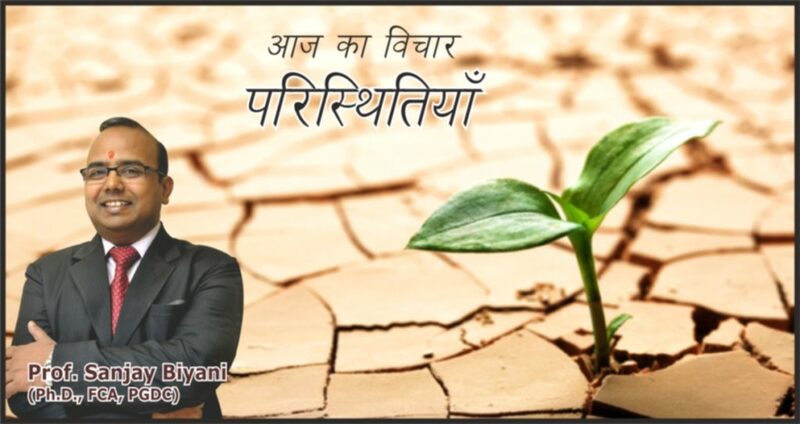 Vivekananda said “We are here not to eat, drink make merry and pass away”. We should have awareness and give thanks to God because all our five senses are normal. We see outside world through these five senses. Behind these five senses we have our mind (मन). This mind (मन) also should be normal and powerful but our intellect should be able to control our mind (मन). This intellect is governed by our soul and soul is connected with God, failure comes because we are doing according to our mind only if we focus on intellect, we become successful. There are very few people who use their intellect and get wisdom. For example Mahatma Gandhi, Vivekanand . Others live like common people and die one day whom world doesn’t even remember. We should not be slave to our mind (मन), we should be the master of our mind (मन). We should be able to take decision with our intellect, then only can you do something new and big. Promise to yourself to become intelligent and take decision with your intelligence. Try to read good literature of our country. Gita is the best book which can give you solution of day to day problem. It can develop your wisdom. 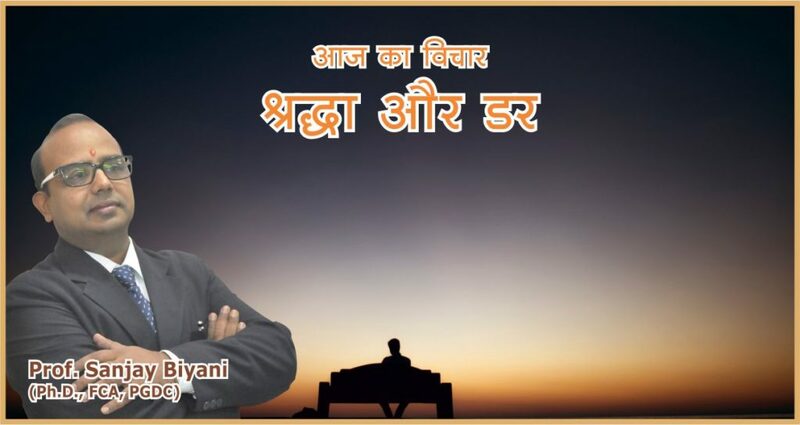 Be proud to be an Indian and try to know more about Indian culture, literature and you will be surprised that India is very rich in spirituality. Whole world looks forward to India for her spiritual values. People from outside come to India to learn yoga and meditation. So let us meditate now and channelize our whole body with positivity by chanting the mantra in the right way. After getting everything in life if you are still polite, humble and can bow down your head in front of God then you are great. Your standard is high and you possess a pleasing personality. Now, a days people show off and from outside they try to prove their high standard and personality. But to me from your heart if you can thank God always in celebrations as well as in adverse situation, you get time to pray when you are very busy also your personality will grow. From your feed back I can understand you are becoming more disciplined, more well behaved. You are becoming more positive towards life. Above all you are a good human being. All these are your strength. These are more important than getting more marks in exam. Our character is our strength. That’s why India is maintaining a special standard in the world. Be proud to be an Indian and be proud of it’s rich Heritage and Culture “What will you profit if you win the whole world but lose your character” from your feed back. It seems you all need a long winter break. I feel you deserve this, after giving exam, facing stress you need happiness and relaxing. So, you will get Happy Holidays. Welcome the new year, feel you are very lucky ! Some of you said “Everything is useless” but your words are your image if you cry in sorrow and loose sense in celebration your mental state is very low. Small small problems, low thinking, low standard are all useless. Keep your mental state so high so that you can maintain a high standard. When you go up your problems will not trouble you and you can easily solve them. Meditation can bring this state of mind, meditation is not a punishment. Meditation is happiness. It gives you control and helps you in all situation. It helps to grow your inner personality. 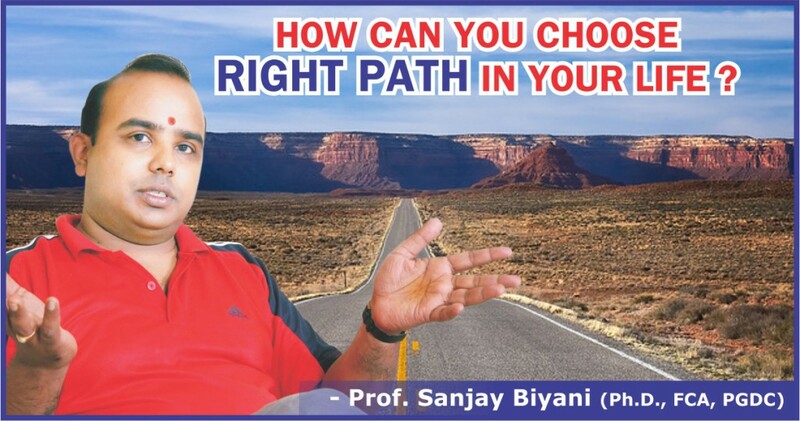 HOW CAN YOU CHOOSE RIGHT PATH IN YOUR LIFE ? Before taking any decision you have to listen to voice of your heart as well as voice of your mind. But how to find out which one is correct I shall give you a solution. Firstly listen to your heart & feel the feelings. Is it a feeling of happiness or fear ? Before taking decision observe your feelings for a period of fifteen days. If after fifteen days the gravity of fear is more then understand it is the voice of mind which wants to give you pleasure for a short time. But if it is voice of your heart slowly the gravity of fear will become lesser & lesser & feeling of happiness will increase. Then follow the direction of your conscious. Otherwise when you take hasty decision it can lead you to wrong path. As you have seen how children are ruining their lives & money when they rushed whimsically to Mumbai to become actors in films by just watching an advertisement in the news paper. Better you observe your role of an actor for at least two weeks & feel the pleasure. If the gravity of this feeling increases with time then this may become your passion. In life we get inspired but how many of us feel like inspiring others. If you can inspire a child also please do it, so that you can keep yourself inspired. Now tell me how many of you need Christmas holidays, or raise your hands who wants to study & clear out their doubts with teachers. So the majority wants holidays because you are taking decision by listening to the voice of mind which will of course give you pleasure but for a very short time, so see mind is so powerful. I wish in the long run when you have to take important decision please listen to your voice of heart. Posted on December 23, 2015 October 6, 2016 Author Blog ManagerCategories UncategorizedLeave a comment on HOW CAN YOU CHOOSE RIGHT PATH IN YOUR LIFE ?